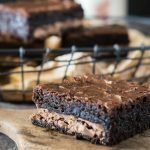 Easy thick and gooey Dark Chocolate Toffee Bar Brownies have a delicious layer of chocolate toffee candy bar running through them creating a very special treat. This time of year has so much going on. Graduations, bridal showers, March madness parties, all require planning, and not always a lot of time to put them together. 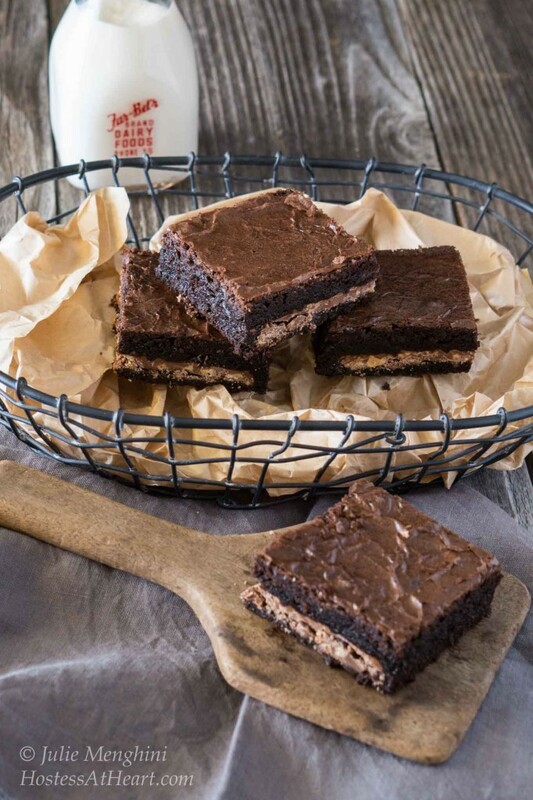 Easy Toffee Bar Brownies are perfect for any of them. My niece brought these to one of our family get-togethers, and I’ve been making them ever since. 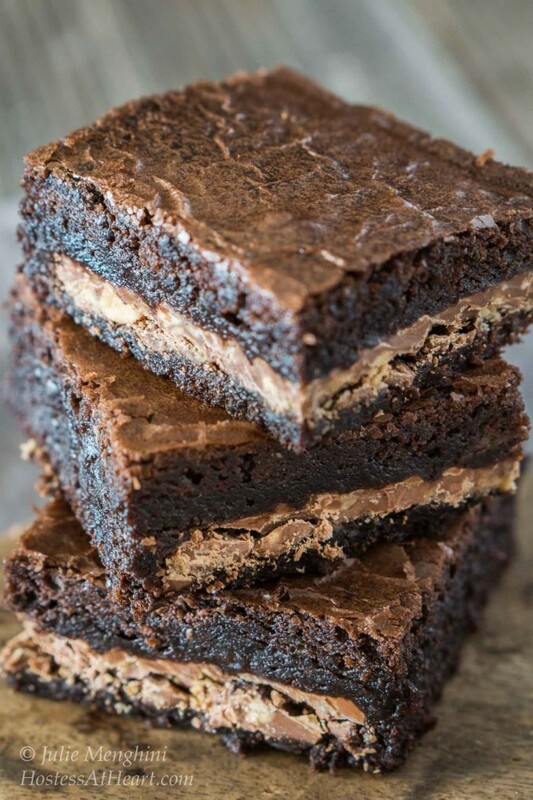 There are similar recipes on the internet for these brownies, but they cut the toffee bars in pieces and either mix them into the batter or line the top before baking. I keep my bars whole so everyone is guaranteed an amazing thick toffee crunch. 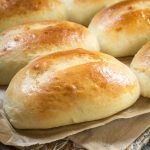 You can bake them in a 9×13 inch pan and cut them to any size you need. I use an 11×7 inch baking dish so they are plenty thick. 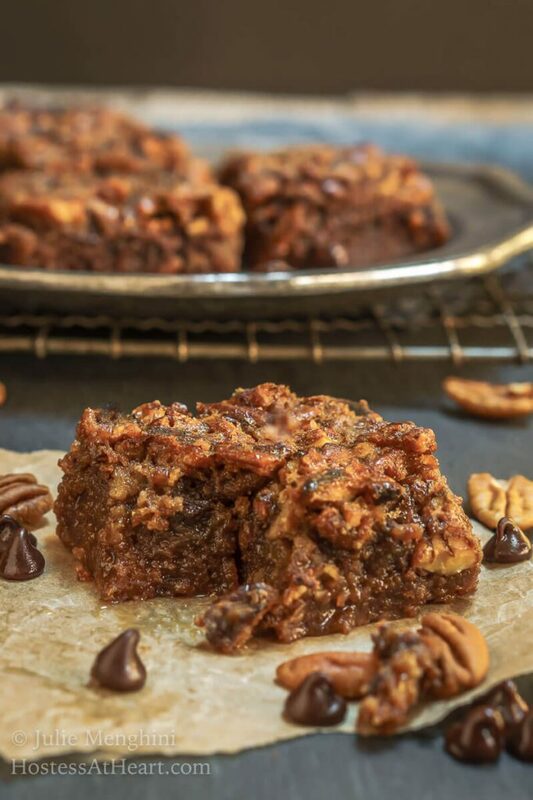 You can put these Easy Toffee Bar Brownies together in no time. They taste decadent and delicious, and no one will know how fast and simple they are to make. Nothing is missing in this quick and easy dessert! 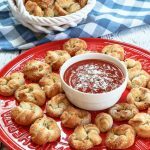 It’s also a great make and take recipe or perfect for an open house or party since one recipe makes up to 24 servings. I’ve never had anyone that didn’t ask for the recipe. Mix brownies according to package instructions. Grease or spray the bottom of a 9x13 or 11x7 baking dish. Cover the bottom of the pan with half of the batter. Place toffee bars over the brownie batter. Top with remaining brownie batter. Brownies are done when they slightly pull away from the sides of the dish. Allow to cool completely before cutting. May be refrigerated. 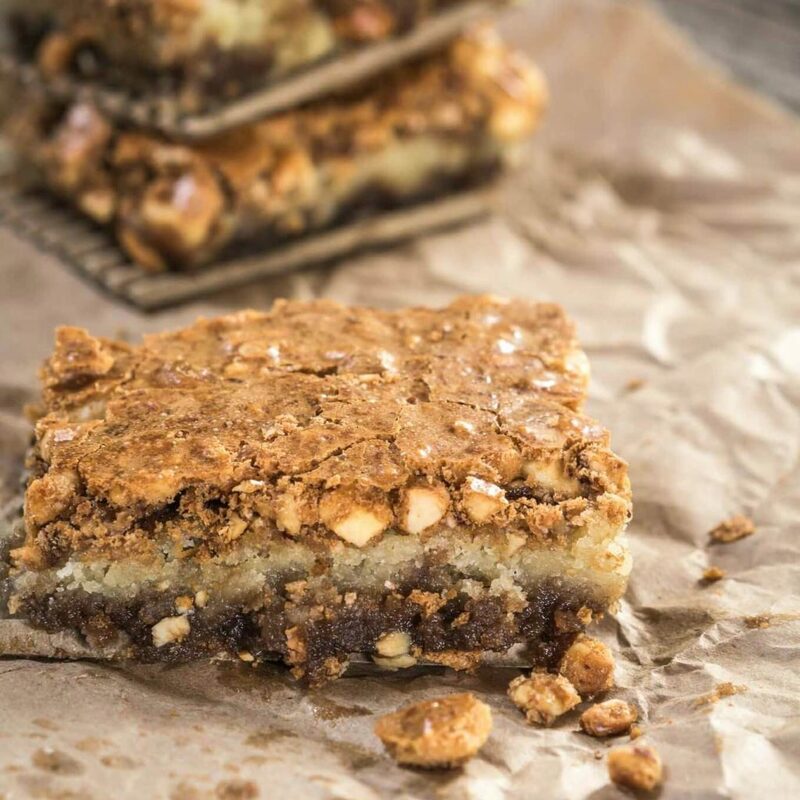 Dessert bars are always a favorite of ours. 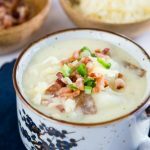 Here are a few more recipes that you may enjoy. Totally decadent and oh how I love these brownies. They are so quick and easy and if you need a quick make and take, they are my go too. I’m sure a plate of these would go over well with your B&B guests. Julie, these look amazing! I had no choice but to share this deliciousness on Twitter. 😉 Love easy brownies recipes! Thank you Demeter! You’re a peach!! These are stunning Julie. I want to bake something for my son’s math teacher because he’s been so above and beyond helpful and supportive this year. I think these are perfect! Thanks for linking up at #SaucySaturdays. Thank you Christine! I think these brownies could be a perfect choice too. Easy and delicious. I love that your son’s teacher is an inspiration. My daughter is a school teacher. OMG Julie, how fabulous are these!! I can imagine the whole lot disappearing in an hour in this house 😀 Thank you for sharing at Fiesta Friday!! Thank you so much Naina! Thank you for hosting FF this week too! Another great one, Julie! Your photos are so nice! Thank you so much Debbie! You are going to make me bake these, aint you? Such gorgeous pics Julie! Mouth watering… Pinned! Awe Swayam you’re sweeter than these brownies! Thank you Nancy! I’m not very good at sharing them either! These brownies look amazing!!! I love it! Yum, yum, yum Julie. 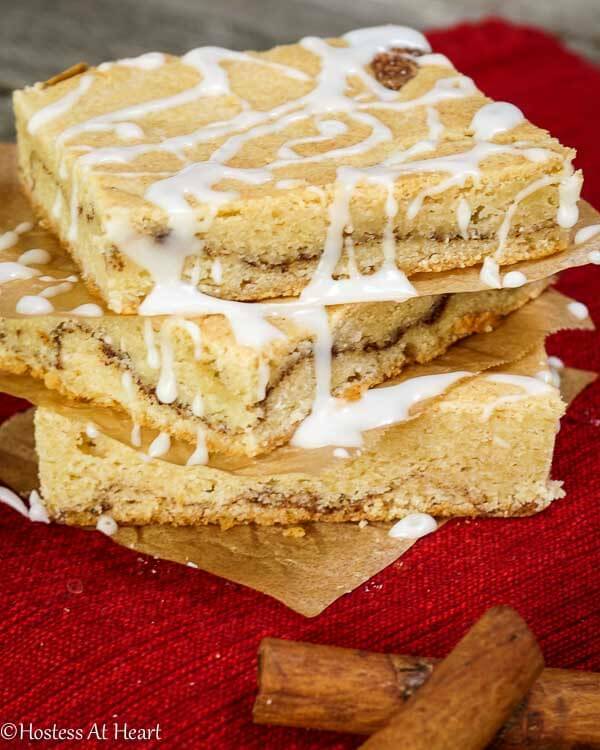 Love this simple toffee bar recipe. They look so wonderful, and of course your pictures tempt us all even more 🙂 I hope you’re enjoying your weekend. After a splash of spring/summer weather, we’re expecting snow tonight. Bummer! Thank you Loretta! We actually took a road trip down to the Crane Trust. For about 6 weeks a year 400,000 Sandhill Cranes migrate to an area less than 50 miles wide in the middle of Nebraska. We went down with our camera’s before sun-up and the noise was amazing. It was 19 degrees and my camera fingers about fell off! I hope you had a wonderful weekend too! Thank you! I’ve never eaten a symphony bar except like this and looooved every bite. How can one resist a brownie such as this? Thank you Aruna! I didn’t do a very good job resisting them. I was a bad bad girl! Thank you Linda! 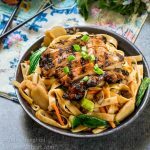 Easy and yummy! 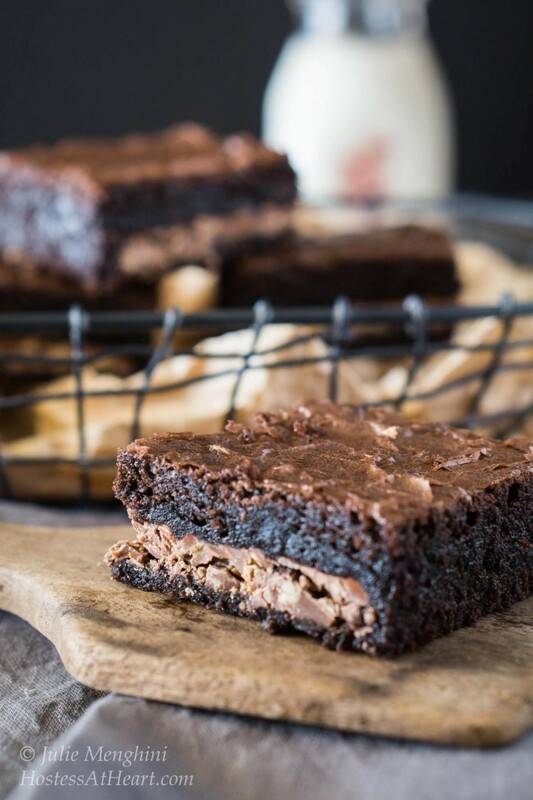 Wow, you weren’t kidding about how easy these brownies are to whip up and they look so decadent-yum! Thank you Lily! Super easy. Thank you Ana! I gave two to the neighbor and forgot that she gave up chocolate for Lent. I told her next year to give up Lima Beans. I wouldn’t ever send Lima beans over to her. This is definitely a simple recipe and one where you can have the ingredients on hand for just when you need something sweet. :) I have tried brownies from a box and they are good – sure saves a lot of time! Thank you Anna! Let me know what you think!